End of the Internet? Help us prevent it! You are here: Home / End of the Internet? Help us prevent it! 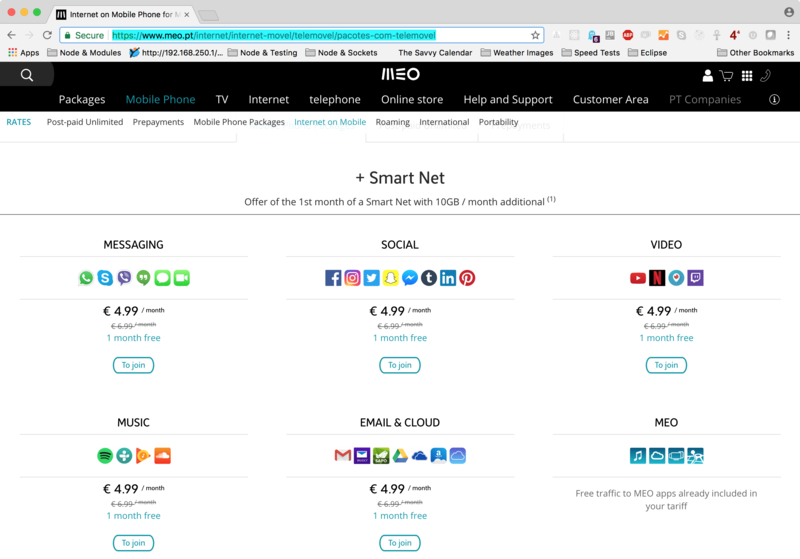 A Portugal ISP (with no net neutrality constraints) appears to be charging 4.99€ (about US$5.86) per month for access to social media. And another 4.99€ for streaming video (Youtube, Netflix, etc). Oh, and another 4.99€ for streaming music. And additional charges for other kinds of network traffic. Here’s a link to their web page. which I ran through Google Translate to make it easier to read. The FCC has proposed to end the rules that prevent ISPs from slicing and dicing up your access to the entire internet. The FCC rules (released this week) are scheduled to be voted into effect on 14 Dec 2017. This will be really bad for consumers. But it’ll be worse for entrepreneurs who’re not big companies (yet), and could easily be left “below any horizon”, and simply not visible to general customers. John Oliver’s TV shows generated over 22 million comments on the FCC site, but they chose to disregard the public’s sentiment. The folks at Battle for the Net make it super easy. Give them your phone number, then they dial up your congressperson’s office, then ring your phone. They even give you a script to tell the staffer (who’ll probably answer the phone) and you tell them what you’re thinking. A 30-second call would be enough to let them know your thoughts.